Congenital heart disease is generally thought to be a difficult and challenging subject. Due to limitations of diagnostic facilities and suitable treating hospitals, many souls have departed their bodies prematurely, undiagnosed and untreated. Physicians, pediatricians and cardiologists give less attention to congenital heart diseases, as this branch of cardiovascular science is less alluring and rewarding. 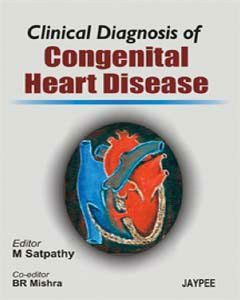 As a teacher when I aimed at the postgraduate students in medicine I found there is a definite place for a book on congenital heart disease which should be comprehensive and also with strong clinical bias because it is essential on the part of treating physicians caring for the newborn, the infant and the children to have early diagnosis with accuracy so as to prevent high morbidity and mortality. Recently many pediatric cardiology units have come up and tremendous advances in percutaneous interventions and surgical techniques have been made, so the outlook for congenital heart disease looks brighter today. As a matter of fact, without basic knowledge of anatomy and pathophysiology it is difficult to develop a clinical acumen to make early accurate diagnosis. Further, correct interpretation of recent investigatory procedures will be more difficult. Early diagnosis, initiation of treatment with existing facilities and decision for referral to a standard cardiac center at the right time can definitely save many precious lives.